It’s been a long time since we told you about the “Xiaomi telescope” which, as we explained at the time, was neither Xiaomi’s nor did it allow photos to be taken. Come on, one more thing to photograph until the moon and we stop counting. And for that, we already have our smartphone. 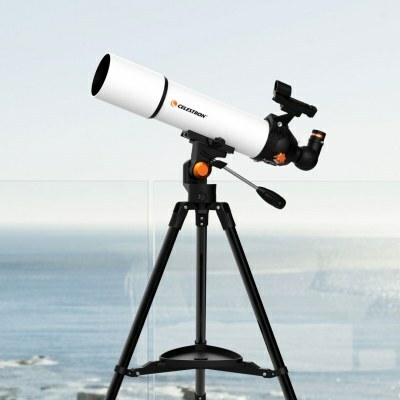 Today we bring you another telescope, Celestron SCTW-80, the second telescope that we see announced in Xiaomi’s online store and this one, apparently seems to fulfill the expectations. Celestron is a recognized brand that since its inception in 1960, has given a new dimension to the dissemination of science and astronomy around the world, responding to the needs and expectations of amateur and semi-professional astronomy. This combination makes it a leading manufacturer of astronomical telescopes, ground-based telescopes and superior optical products, such as the Celestron SCTW-80, which we will talk about below. This telescope features 23 and 10 millimeter spherical eyepieces with a high quality lens, made of glass with multiple layers of coating to improve lens performance and achieve a sharper image during nighttime explorations. The Celestron STCW-80 has been designed to be used by anyone, regardless of their astronomical knowledge or training. Or that’s what the manufacturer promises. It includes a sturdy stainless steel tripod, ideal for hiking in the mountains and enjoying the starry sky without a problem. It also comes with a backpack with double handles, and lined in cotton for greater protection of the telescope during transport. However, if you were waiting for an intelligent telescope, take that idea out of your head, since it is not possible to connect it to our mobile phone or other electronic device to automate its use. But we will be able to use our smartphone to take a picture of what we are seeing through this telescope. However, and although it seems to be a professional telescope, it is one with a terrestrial vocation because it lacks the tracking pulleys to be able to make use of it with astronomical character. It is true that we will be able to see the moon and even some planet with relative difficulty, but in no case is it a telescope endowed with sufficient quality and stability to delight us with starry skies. This is yet another telescope that will not be able to satisfy our deepest desires to see the universe clearly.